A different junior high school experience. IASA-MS is poised to lead a revolution in Israeli middle school education. There is a serious gap in educational quality in middle schools (grades 7-9). Many high schools are now re-configuring to add middle schools to high schools. Structural change is not enough; a complete overhaul of approach and curriculum is essential. IASA-MS opened its doors to its first class of 60 7th-grade students in September 2017. Its student body is a vibrant mix of religious and secular Jewish students as well as Muslim and Christian Arab students, all united in their pursuit of excellence. Enter a classroom at IASA's new middle school and you will be astonished by the students' intent interest, extensive knowledge, and dynamic discussion. IASA-MS students are learning to ask questions, seek information, reflect, connect and evaluate. The goal for IASA-MS is to transform education in middle schools across Israel. IASA-MS has attracted an outstanding group of teachers who are specialists in their fields. They hold M.A. or Ph.D. degrees in addition to their teachers’ certificates and instead of frontal lessons and memorization, students learn by solving riddles, building models, hand-on experiments and working in teams on group research projects. In addition to high-level core classes, students also have enriching elective courses such as Debate, Media & Journalism, and Critical Analysis. Just as IASA-HS was a trailblazer in teaching its students civic leadership through the Crown Community Service program, IASA-MS is Israel's first junior high school to adapt and adopt Crown Community Service as an integral part of its curriculum. Diversity and respect are a way of life at IASA-MS. 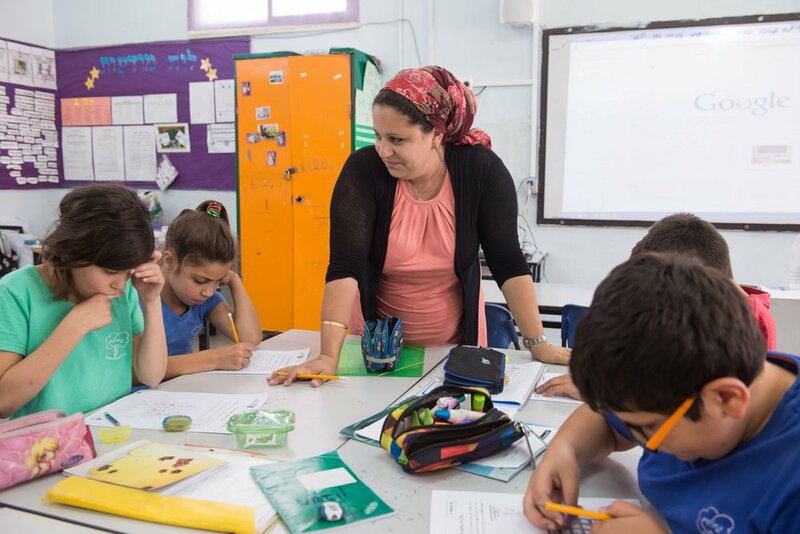 While the school is officially categorized as a secular Jewish school according to Ministry of Education parameters, IASA's reputation is so respected that Arab Christian, Arab Muslim, and Orthodox Jewish families choose to send their children to us. IASA-MS teachers sensitively guide students to hold respectful dialogue and develop friendships across cultural and religious borders.